Francine's Friends: Purchase Lisa Rinna's new book today and help Francine's Friends! Purchase Lisa Rinna's new book today and help Francine's Friends! 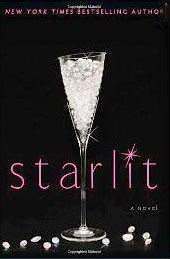 For those of you at today's luncheon, keynote speaker Lisa Rinna talked about her new book, "Starlit: A Novel," an entertaining fictional look at Hollywood. Lisa announced today that for a limited time only, a portion of the proceeds for books purchased on Amazon will go to Francine's Friends! Read more about the book here at Amazon.com. Her first book, 2009’s "Rinnavation: Getting Your Best Life Ever," was a New York Times best-seller. Thank you, Lisa!